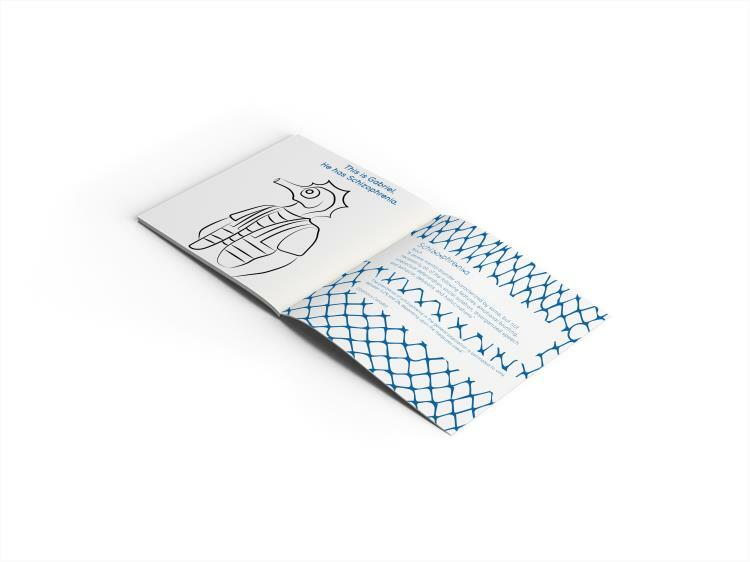 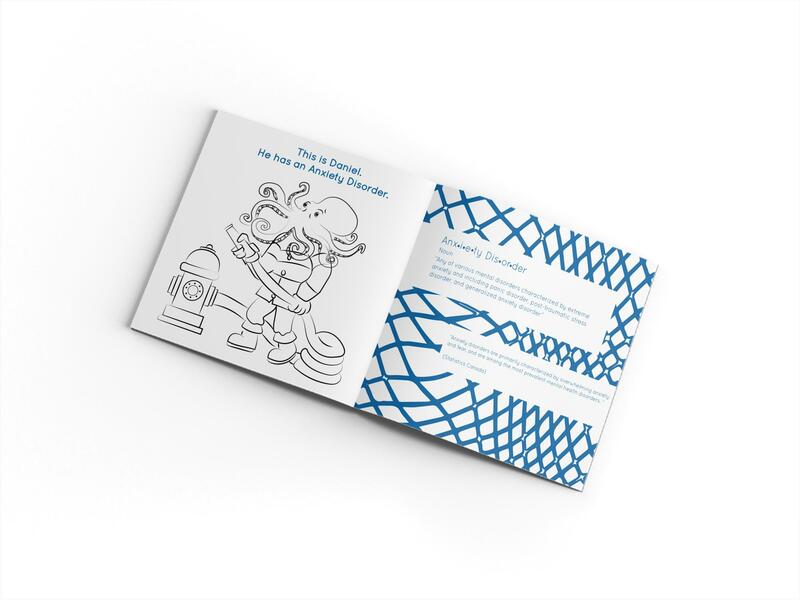 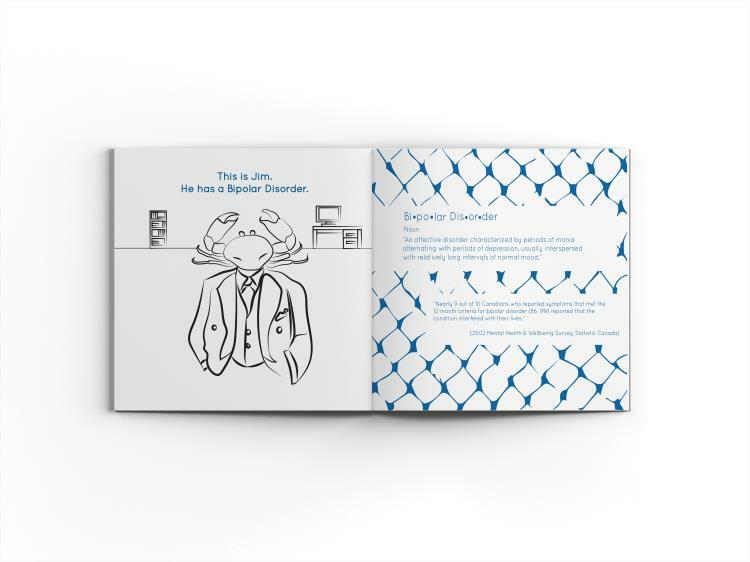 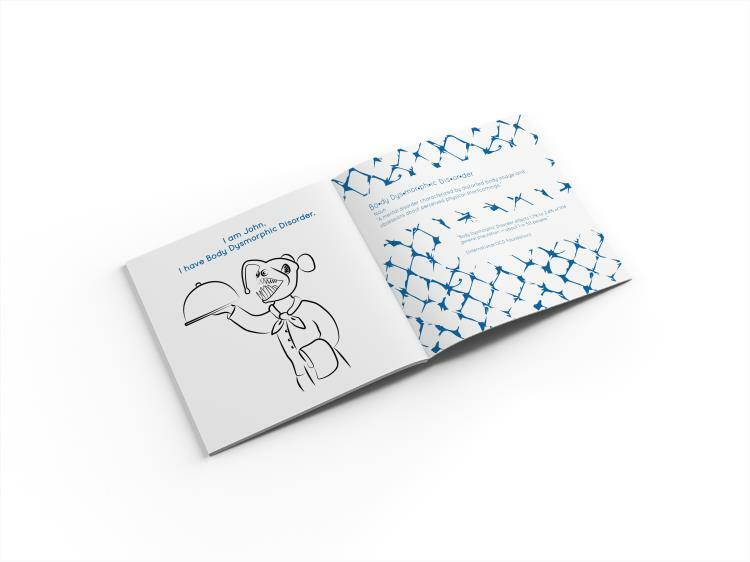 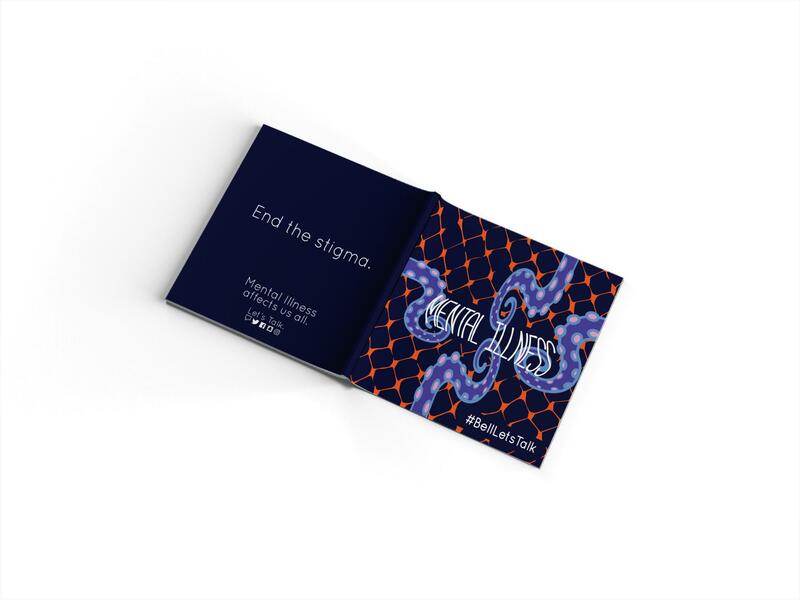 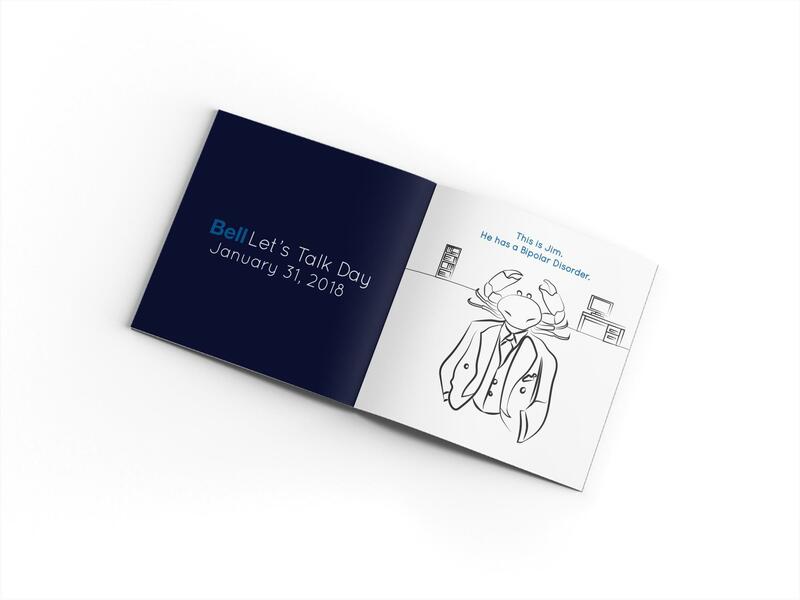 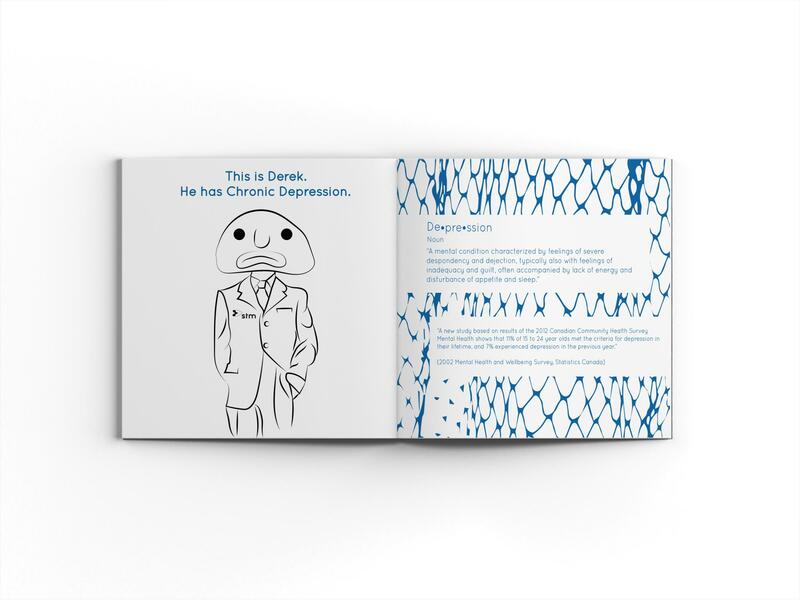 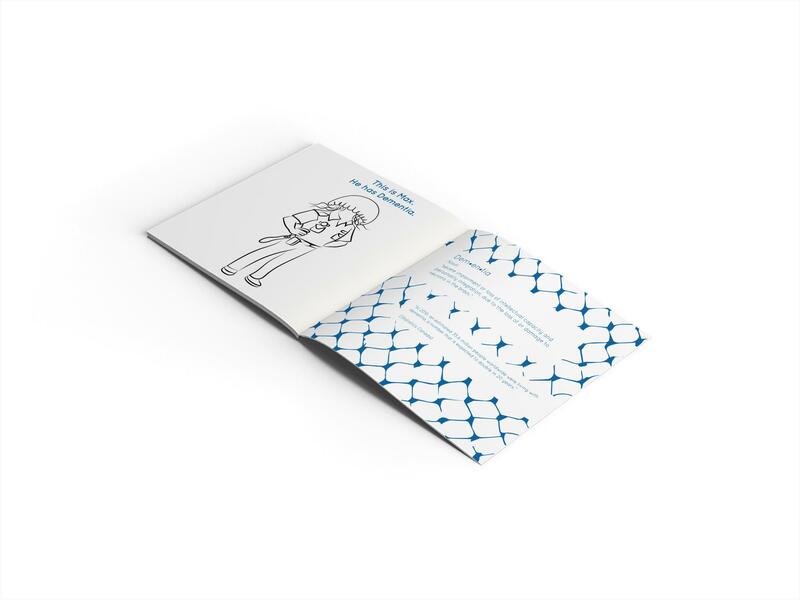 This coloring book explains the different types of mental disorders that people are affected by, and revolves around the “#BellLetsTalk” campaign. 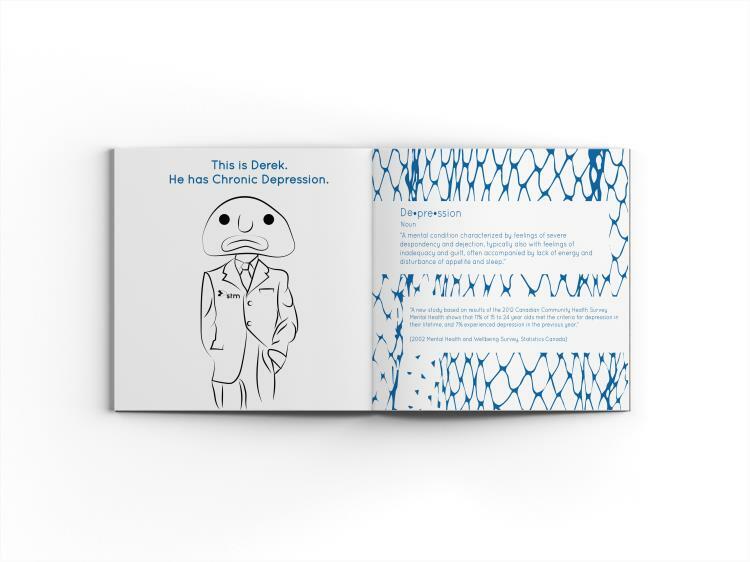 Every page includes a different type of mental illness, followed by a definition and a statistic about it. Each mental disorder is paired with a sea creature, who contain similar characteristics as the illness. 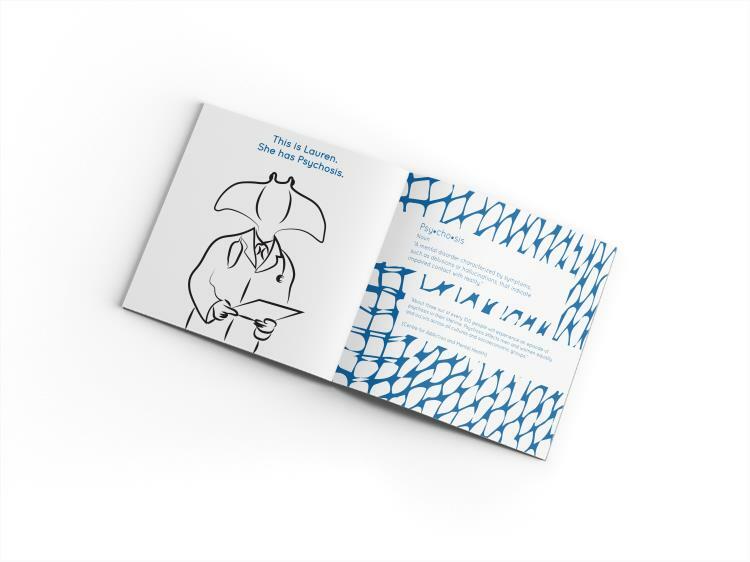 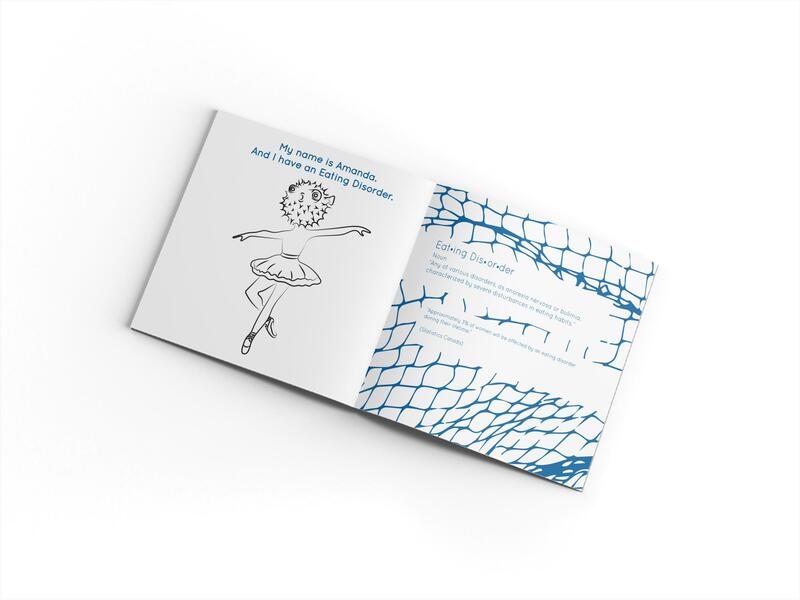 The fishing net also symbolizes being trapped inside the mental illness.